He was a peace activist, avid recycler, hiker, proud grandfather, deli food loved, founder of a shelter for homeless, war tax resister, Jewish Unitarian, and an early educator. Like so many men who teach young children, he had many interests but as a former co-teacher of his said, "His real love was for the children he worked with." Marty Lerman died in early May at 78 years - Father of four and lots of grand children. He was a pioneer of men in early education in New England. 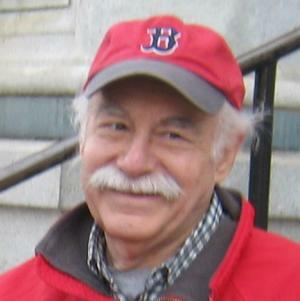 He was part of MenTeach-New England and retired several years ago. He had worked as teacher and director of the Pilgrim Church Child Care center in Uphams Corner in Dorchester, MA in inner city Boston. He was one of the first male graduates of Wheelock College in 1970 which previously was an all female college and one of the primary institutions for early education and care. Marty lived a full life but one piece of it was being a teacher of young children. In that we he made a big mark on the lives of all of us.